Storing our generated energy to power our portable devices as well as our cities, homes, and vehicles. High capacitance capacitors with long charge/discharge cycle life and potential for incredible energy storage and rapid charging. 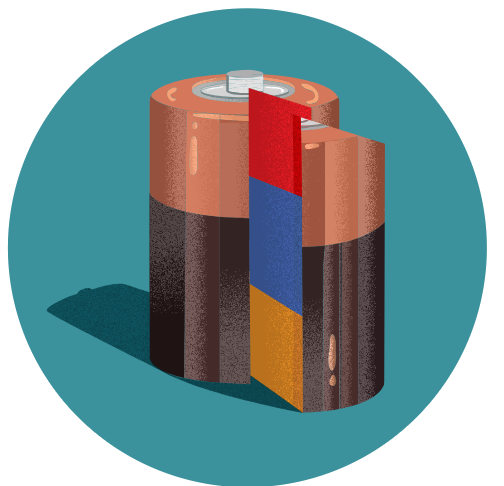 A battery that uses both solid electrodes and electrolytes, instead of liquid or polymer. The traditional lithium-ion and related rechargeable batteries.